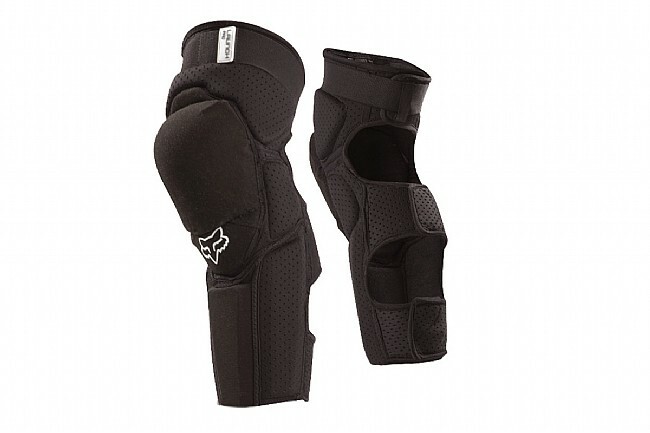 With the Launch Pro Knee/Shin Guards you get knee and shin protection that also feels great on the bike. Protection from the big stuff comes in the form of a plastic knee cup and shin panel, which shield you from impacts while retaining a level of flexibility for comfort. For additional protection and durability, the main guards are covered with Kevlar® fabric, and are surrounded by neoprene padding to keep the rest of your leg safe from smaller bumps. One frequent complaint about wearing pads is that they are too hot, but perforations in these pads work with large holes on the back side to keep heat build up down. The ergonomic shaping of the units makes for great comfort on long rides, and hook and loop fasteners make sure they stay in place without bunching or slipping. With coverage from above the knee to below the shin, the Launch Pro Knee/Shin Guards come in all black with white logos. At 1st I thought they would be too bulky, but when I put them on, I never even noticed when I was pedaling, what a great buy and of course protection!